“THE WHEEL of Fortune, round it goes, where it stops nobody knows” goes the old fairground cry and for Jason Byrne’s new show that cry will be the maxim of the night, taking the audience and the comedian himself into uncharted, maybe even unchartable, territory. Jason Byrne, hailed by The Times as “the outright king of live comedy”, comes to the Seapoint Ballroom, on Saturday January 24 at 8pm to perform that show, armed with his own take on the wheel of fortune - the ‘wheel of stand-up’ - and a title that demands audience participation - You Name The Show. Perhaps the only prediction which can be made of You Name The Show is that it will be unpredictable. The nature of the show allows plenty of room for mischief and Jason’s trademark high energy and love of improvised comedy, but where did the idea for it all come from? You Name The Show has already gone down a storm with audiences and critics in Britain, Australia, and New Zealand, so what has been the strangest thing the ‘wheel of stand-up’ has led an audience member to do? “It was in Cambridge,” says Jason. “As part of the show I interview members of the audience. I get them to come up on stage and I ask them a few silly questions. There was this guy who wanted to come up on stage and ask his girlfriend to marry him, except I called out the wrong names, so there I am thinking it’s the two people in front of me that want to get married, and I’m saying to the guy ‘Isn’t there something you want to ask your girlfriend?’ and he says ‘No’. ‘Ah but there is something you want to ask her’, ‘No’. ‘Are you sure now?’ ‘Yes’. The guy thought he was being set up. That was the weirdest one. Given that Jason has toured the show across three very different countries before brining it to Ireland, what are the main differences in the way each of those audiences have reacted to You Name The Show? “All audiences are different from one town to another, never mind countries,” says Jason. “Geelong is very different to Melbourne, which is very different to Sydney. Canterbury has no relationship with Newcastle, which has nothing in common with London. London is a place where everybody in the world lives, while Liverpool is a place where only Liverpudlians are from. As well as taking his new show across venues in Ireland, Jason will also be back on Irish TV screens this month with his new comedy chat show, Snaptastic, which starts on Sunday January 25 on TV3. “It’s different to other chat shows, it will be crazy,” says Jason. “The guests bring in snapshots of themselves from when they were children or photographs that are special to them or that are funny, and we base the interview around that. Audience members will also bring in pics and Foil, Arms and Hog will also perform a sketch based on the photos, about what might have happened next. Upcoming guests on Snaptastic include John Bishop, Johnny Vegas, Ray D’Arcy, George Hook, Deirdre O’Kane, and Sarah Millican. Although Jason is one of the biggest names in Irish comedy, he has proved to be a ‘love him or hate him’ figure for some, but the Dubliner is well capable of enduring the critical barbs. A final word then about a subject close to many a comedian’s heart - football. Jason is a Man United fan, but is out numbered among his family who support a very different team that wears red. “My son is Liverpool and his uncle and granddad are Liverpool as well. I’m scum of the earth in my house when it comes to football,” says Jason. Not that he minds, given how Man U, having started the season so poorly, now find themselves only behind Chelsea and Man City in the league. Liverpool’s season though has been at best indifferent, a shadow of the side they were in 2013-14 when they enjoyed the dynamic partnership of Suarez and Sturridge. 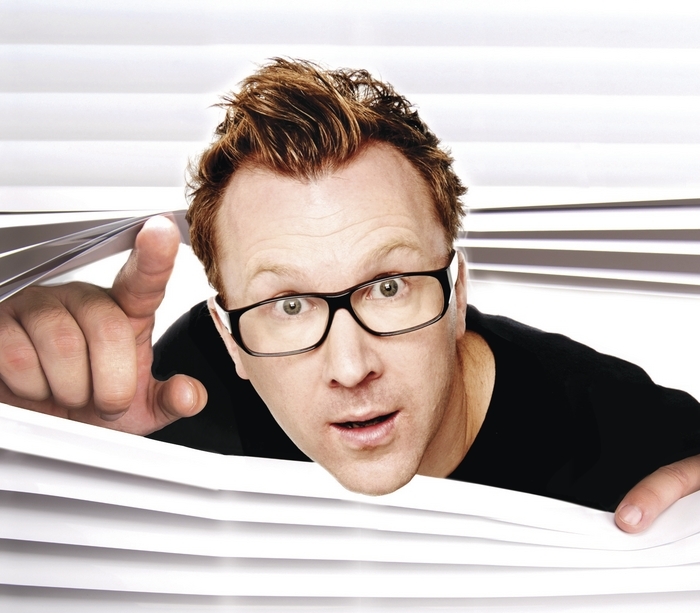 Jason Byrne’s show is a ‘Róisín Dubh presents...’ event. Tickets are available at www.roisindubh.net, the Ticket Desk at OMG Zhivago, Shop Street, and The Róisín Dubh.